Can you go six for six? Instant replay shows six instances in which Super Bowl 52 advertisers have fumbled ad claims. Behind the labels that cost you more. Don't be blindsided by these promotions made by companies who advertise in the Super Bowl. More than 80 percent of companies advertising in this year's game have faced deceptive advertising challenges. 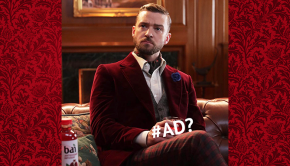 Is Justin Timberlake urging fans on Instagram to buy Bai? TINA.org is throwing the flag on several Big Game advertisers this year. Challenges to these advertising claims have left them off-sides of the truth. Funny Fiat ad but beware of those actual sexual enhancement ads. The commercials may be funny but don't be fooled by some of the claims. TINA.org's Big Game scorecard on companies under fire for deceptive ads. Does the Executive Suite Match the Empowerment Message in the Ad? Here's what the Super Bowl's #likeagirl ad really means. Where else are the ads? Who’s Throwing Flags on Super Bowl Advertisers? More than 70 percent of advertisers who announced they are running commercials in this year’s Super Bowl have been accused of false or deceptive advertising.